Dr. Rosemary Margaret Warren Bamforth, née Ince, was born on 19th October 1924 in Glasgow. Her father, Douglas Ince, ran an engineering company and was in the Army, having taken part in the Battle of the Somme. Her brother, David Ince, was a Pilot in the Air Force and graduated with an M.B. from Glasgow University in 1950. Bamforth’s mother, Isobel, was a part of the WVS. Bamforth’s home address is listed as 59 Dowanside Road, Glasgow. She studied at Laurel Bank, Beacon School Bridge of Allan, and Cheltenham Ladies College. Bamforth first completed her application for Glasgow University in 1941 at the age of sixteen. However, she was told to re-apply due to her young age. She instead applied for the Women’s Royal Naval Service, which led to her military career in code-breaking. Bamforth was signed up in November 1941, and posted to an initial training camp at Balloch, Loch Lomond, and was then posted to a further training camp at outstation Eastcote in West London. Finally she was posted at Bletchley Park, where she began to learn more about her role within the military. Bamforth was at Bletchley Park from 1944 to 1945, where she worked as a PO Wren at Bletchley’s Hut 11, running the Bombe machines and so playing a part in breaking German military ciphers. 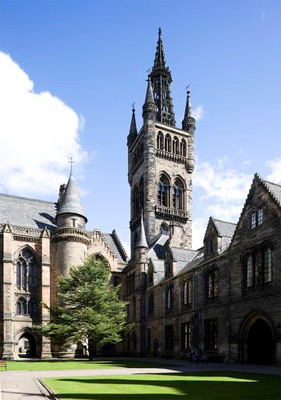 After her war service, Bamforth returned to Glasgow and matriculated in Medicine at the University of Glasgow in 1946. She graduated with an M.B. in 1951. During her first year, in the 1946 to 1947 session, Bamforth took classes in Chemistry, Zoology, Botany, Natural Philosophy, and Anatomy. During her second to fifth year, Bamforth also took classes in Materia Medica, Surgery, Paediatrics, Clinical Pathology, Obstetrics and Gynaecology, Dermatology, and Radiography. She was in receipt of a Further Education and Training Grant. Dr Rosemary Bamforth died on 17th April 2018, aged 93.